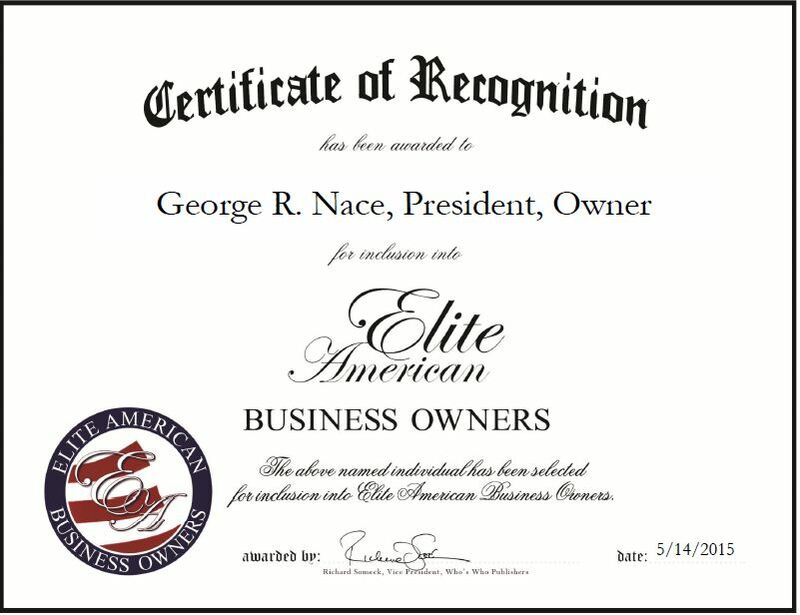 Berkeley, CA, May 14, 2015, George R. Nace, President, Owner of George R. Nace LLC, has been recognized by Elite American Business Owners for dedication, achievement and leadership in website hosting. After working in the industry, Mr. Nace was able to make the transition to a consultancy role, which enabled him to support his family’s needs, and open his vistas to new needs and opportunities in today’s changing global business climate. He draws on his many years of experience in information technology and electronics to successfully operate his website hosting company, which provides domain registration and IP management services. Mr. Nace, an expert in troubleshooting the most complex problems, spends his days working in positions unique to problem solving. He prides himself on taking on projects that others shy away from. Additionally, Mr. Nace handles ongoing situations typical to both mid-size and large companies, and develops global infrastructure and enterprise architecture. Mr. Nace has achieved tremendous success throughout his career. He was instrumental in consolidating infrastructure and help-desk support operations for eight different internal business units within Xerox, with over 500 customers, and has played a role in numerous business negotiations and in the development of proposals. Mr. Nace attributes his success to his knowledge base and ability to communicate difficult technical information to C-level individuals. This entry was posted in Information Technology and tagged consulting, domain registration, IP management, troubleshooting, website hosting. Bookmark the permalink.